Notice! Oz Hotels Sui does not accept reservations at this time. Please try again later. Oz Hotels Sui Contact. 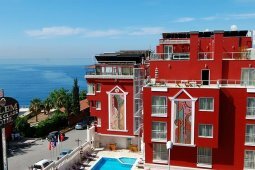 Situated in Okurcalar/Alanya area, Sui Resort Hotel is just 400 metres from the sea. The hotel has an outdoor pool, spa centre and a private beach area. Free WiFi is offered throughout the property. Every room at this hotel is air conditioned and is equipped with a flat-screen TV. Certain rooms include views of the sea or pool. Every room is equipped with a private bathroom. For your comfort, you will find free toiletries and a hairdryer. Guests can enjoy a meal at the restaurant or a drink at the bar. Dining options include à la carte and buffet restaurants. The hotel has water sports facilities and car hire is available. You can play table tennis and billiards at the hotel. 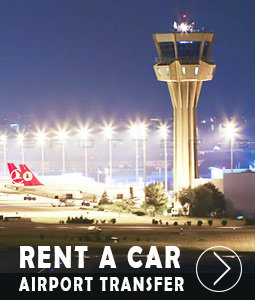 Gazipasa Airport is 68 km away. Free private parking is available on site. SUI is a world of calmness in itself as the greens, blues and yellows of nature blend and where the “Mountain of Beauty”, the ancient name for Alanya, meets the sea. A close relation to the magical and breathless words reminiscent of life, like luxury, love, friendship... Goes beyond a life experience, a myth whispered in our ears adding a smile to our lips. An innocent reaction that will make you smile. Just like Dorothy in the Wizard of Oz, a happy return home is colored by your experiences on the way..
Oz Hotels Sui accepts VISA and reserves the right to temporarily hold an amount prior to arrival. Oz Hotels Sui accepts Master Card and reserves the right to temporarily hold an amount prior to arrival. Oz Hotels Sui accepts Maestro and reserves the right to temporarily hold an amount prior to arrival. Oz Hotels Sui accepts Bank card and reserves the right to temporarily hold an amount prior to arrival. Oz Hotels Sui accepts ATM card and reserves the right to temporarily hold an amount prior to arrival. Breakfast, lunch and dinner are open buffet in the morning and local alcoholic and non-alcoholic beverages are free from 10:00 until 24:00 in the brands that the establishment has determined. Marked import drinks are chargeable. A la carte usage is valid for a minimum of 1 week's stay and can be used 1 time during the stay. Later use is chargeable. There are 275 standard rooms, 25 m² wide. Family rooms are 28 rooms, 45 m² wide. There are 4 rooms for handicapped people. It is 25 m² wide. The facility will be opened to service in 2017. The resort consists of 9 cats and 2 lifts. The facility has 3 meeting rooms for 100 people. The resort's beach and pool can be accessed by haşema. Mini Club: Mini club for 04 - 12 year group, special service is provided for children. Special buffet for children, children's pool with waterslides, special playground, children's shows arranged according to age group accompanied by professionally trained and experienced supervisors, special disco for children. Wi-Fi access is free of charge in the rooms and lobby area. All water sports do not belong to TESİS, and they provide paid services depending on the private operation on the beach. Staff were very friendly, food was great and the facilities and activities were excellent. Maybe a few more British people should try this hotel and ignore the reviews about non speaking English staff and the food being geared towards Eastern Europeans and Russians. We were more than happy with everything about this hotel. What an amazing, beautiful hotel. Food is excellent with alot of variety. Very freshly made with alot of care. The whole hotel is so clean and employees work very hard to maintain this. A big plus is the free wifi in the whole of the hotel. Free safe in the room. Poolbar is really big with enough places to sit. Plenty of variety on food here to. Very hard/friendly working staff both at the poolbar as in the main restaurant. The entertainment team organized alot of things to do. ie: White party, foam party and the daily activities, such as aerobics, darts, waterpolo etc.The hotel should promote it to different touroperators in Holland, Germany and the Uk as the only concern I had, it was full of Russian and eastern European guests. Therefore it will be more cosmopolitan! I had an excellent holiday which will remain a memory for life. Thank you Oz Sui Resort and a special thanks goes out to all the hard working staff!!! Keep up the good work!!! A very good place to go, good conditions and a very nice personal.